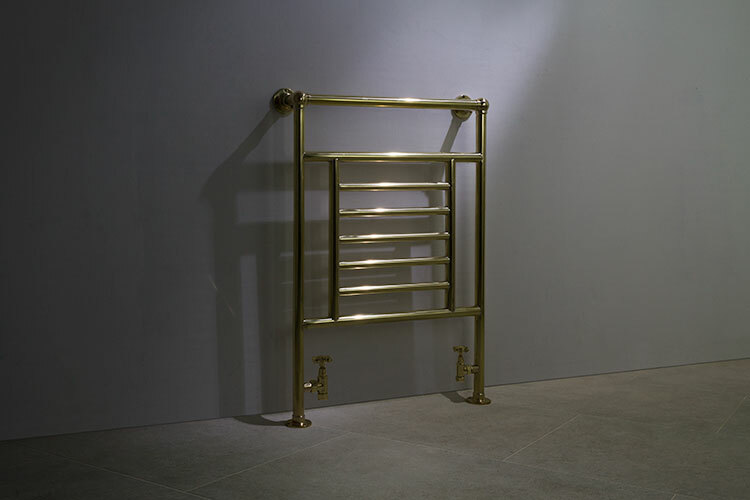 This brass towel warmer is manufactured in the UK to the highest quality standards. 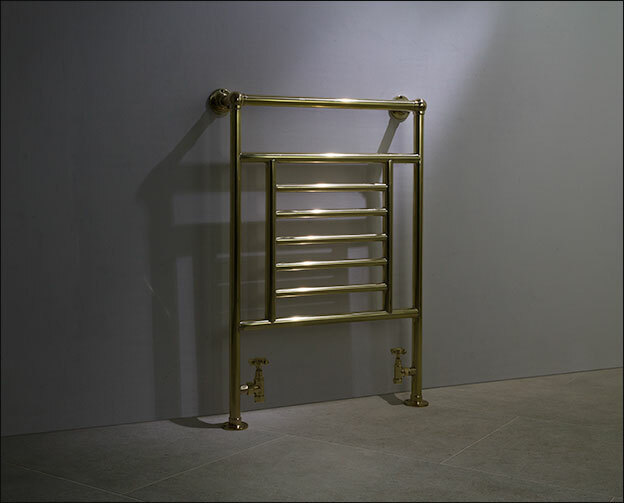 The Old Century has a classic style that fits elegantly in both modern and traditional bathroom designs. 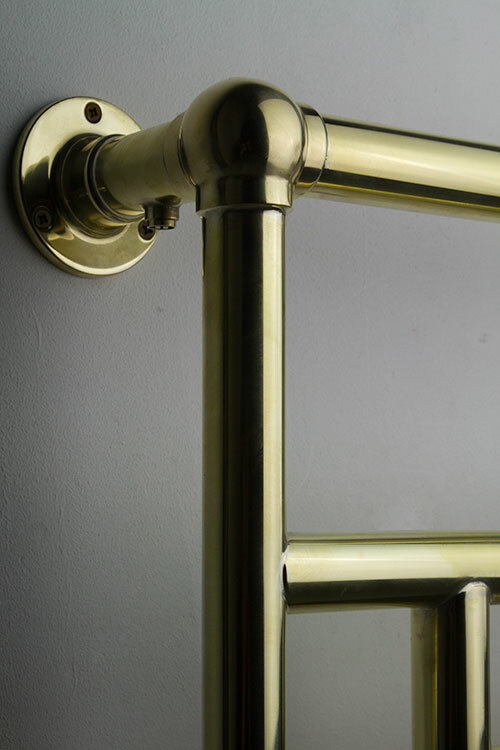 The polished brass plated towel rail has a hard-wearing coating to prevent tarnishing. 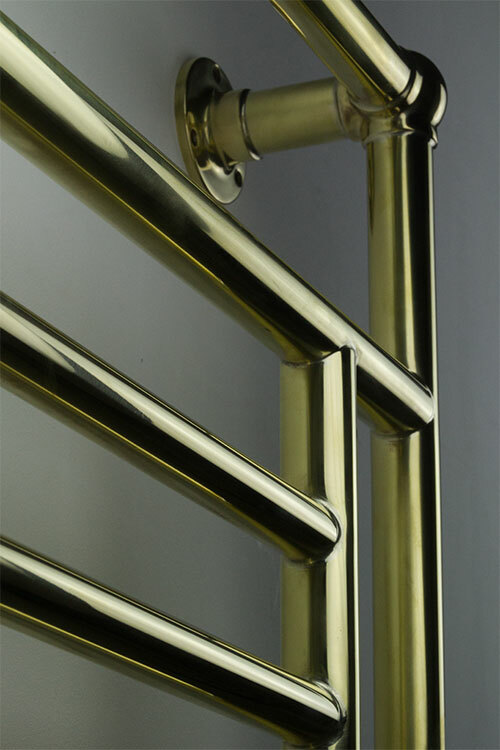 The Old Century rail can also be supplied in a natural brass plated finish to allow the rail to age and patina over time. Please note this product is manufactured to special order. Please allow 6 weeks for delivery. 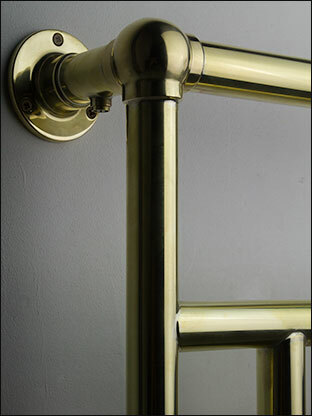 The Old Century has the choice of central heated, electric only or dual fuel options. 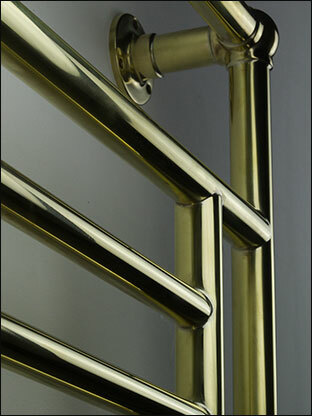 • For central heating as standard.